In this blog I am going to explain briefly about how to make async calls using Reactive Extension (Rx). 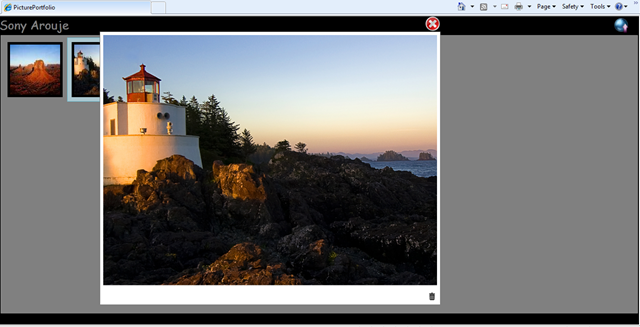 Every one knows that Silverlight is one of the best platform to create RIA’s. 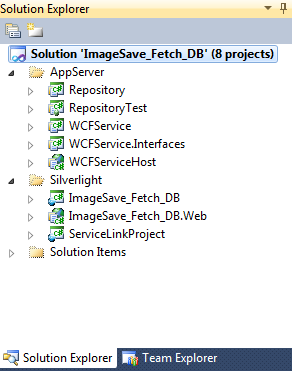 One of the architecture constrain of Silverlight is, it wont directly interact with backend DB. So we need to have a webservice to perform the db operations. Silverlight can consume WCF or asmx service, but their is a catch silverlight can only communicate to webservices asynchronously. We all know that async calls have several advantages. One key feature of async call is, it wont block the UI while performing the call. But one downside in async programming is the coding pattern involved in placing async calls. When I place an async calls, I use an anonymous delegate approach or use lambda expression. But some how I am not satisfied with any of these approaches, I feel my code is not clean. So we always look for a better approach and our long waiting is over with the introduction of Reactive Extension (Rx) from MS labs. You can visit Rx web site to get more details. I am not a person to explain the architecture or indepth details of Rx instead I am going to show how it benefit me in my async programing. I am going to rewrite one of my application I wrote to upload images using Silverlight and WCF, you can get more details of that app from my blog. 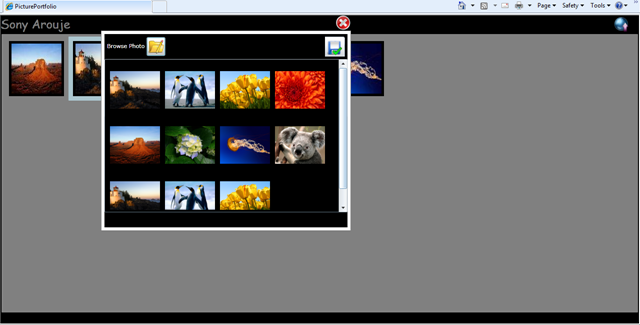 I will rewrite only the part where I make async calls to server to get images from WCF service. Before get into refactoring, We need to download and install the Rx libraries from Rx web site. Let’s refactor the code to make our async calls using Rx. We need to add couple of assembly references to add Rx to Silverlight, below are those assemblies. I demonstrated two ways of interacting with WCF service in the source code I uploaded. A proxy and proxy less approach. We all know the proxy approach, the communication to the service using the class generated by VS. In one of my post I provided some insight of Proxy less approach, you can check it out here. 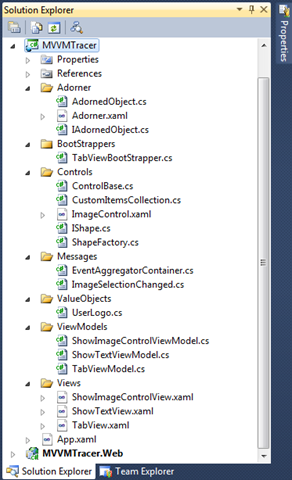 If you have my source code in hand, have a look at the ImageListViewModel.cs in Silverlight app. You can see how I am making the async call. In proxy less approach I use lambda expression to make the call. In proxy approach I used a event driven approach as shown below. I am not going to explain the downside of these approaches mentioned above, Just like me you all might have experienced it. Lets rewrite the code using Reactive Extension (Rx). Let’s see how we can make an async call in proxy generated approach. Here I used FromEvent function provided by Rx instead of FromAsyncPattern. FromEvent accepts the event type, here it is GetAllImageCompletedEventArgs. It also accepts the service client object and which event it should handle. I passed the GetAllImageCompleted to the FromEvent function. Then we need to attach UserLogos as observer. After that we called GetAllImageAsync of service proxy. You can see our code is pretty clean, we don’t have any messy code that we normally write to handle the async calls. Once you start using Rx I think you will never go back to the old approach of placing async calls. 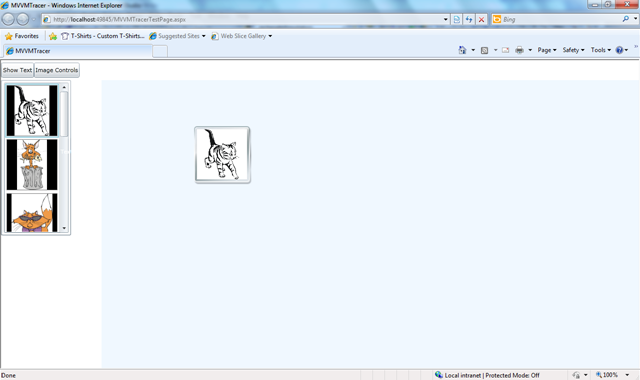 In this post I am going to explain how a silverlight application can communicate with WCF service without any proxy. I wanted to establish this communication without any autogenerated code because am not a fan of proxies generated by VS. If you want VS to create good autogenerated code then probably invest some time in learning T4 templates. Anyway I haven’t done any research in T4 templates, so let’s do every thing by hand. Here is my requirement, I have to show a list of customer in my Silverlight app. Keep in mind it just an experiment, so no db involved in this app. For simplicity I hosted my wcf service in IIS. Let’s straight to the code. Now our service is ready to host, here I use IIS to host it. But how does Silverlight can utilize the Function we implemented, because I haven’t implemented Async methods. You might know that Silverlight can only work in Async mode. There are several ways of calling the above implemented service in Silverlight. One way is adding Service reference and leave it to VS to create the proxy with Async code generation. Another approach is use Castle Windsor to host the service in Async mode. Some how I didn’t like both the approach so I was trying for a better approach. My search ended up in a blog to achieve the Async communication without much modification to my Service code. And use the above ICustomerServiceAsync to communicate to ICustomerService. This approach is pretty clean and we don’t want to add any Async methodology to our core service. Below is my web.config of WCFService host. As you see my service end point configuration I have not mentioned ICustomerServiceAsync. Let’s go through the silverlight client how we can communicate to our service. In a button click am calling the service. Here I used the ICustomerAsync to create the channel. Ayende’s blog will give you more details. You might think how I could able to reference ICustomerServiceAsync and Customer classes in my Silverlight client. 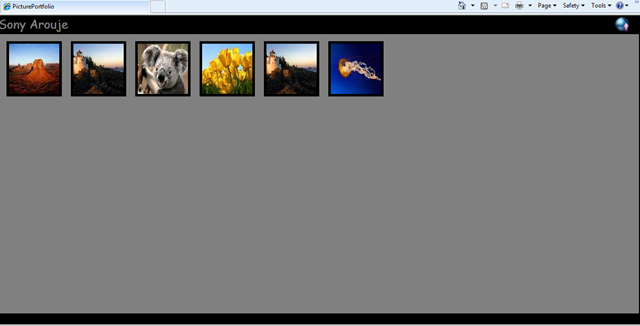 What I did here is I created a Silverlight class library and add ICustomerAsync and Customer class as a link. In VS we can do it by selecting add existing item and rather than clicking on the Add button, click on the arrow on the right side of the Add and select as link from the option. In the above client code I used lambda expression to call the service. You can also use a anonymous delegate or Callback method to achieve the same. To test my connection and exceptions I used a Winform application. Silverlight wont give proper error details.